“An emotional storm is coming, it’s just a question of when. For any organisation, its people are both your most valuable asset and biggest risk, rolled into one. However, finding the most efficient and effective means to manage your ‘human capital’ is more confusing than ever before. For every conscientious employer wanting to help their employees be the healthiest, happiest and most productive versions of themselves possible, there is a plethora of choices of programs and approaches to take. 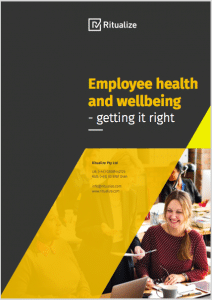 The aim of this paper is to provide an overview of the abundance of research and evidence in the field of what works and what won’t along with a 10-step guide to helping you select the right approach for your workforce.